The Notes app on your iPhone is a great way to keep track of information. 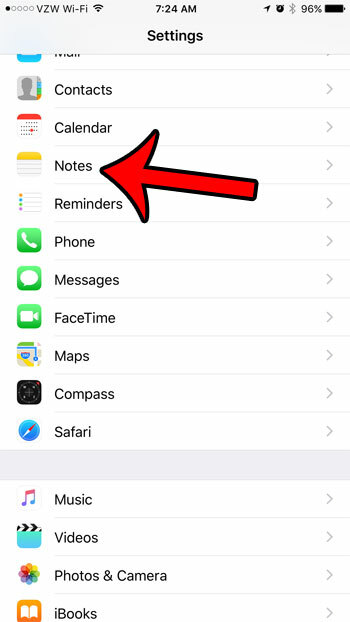 Whether you have a running list of items to pick up at the grocery store, or you have an idea that you want to remember later, the Notes app is a great place to save that information. If you are like me, though, you can wind up using the Notes app so much that it starts to become difficult to locate those notes. 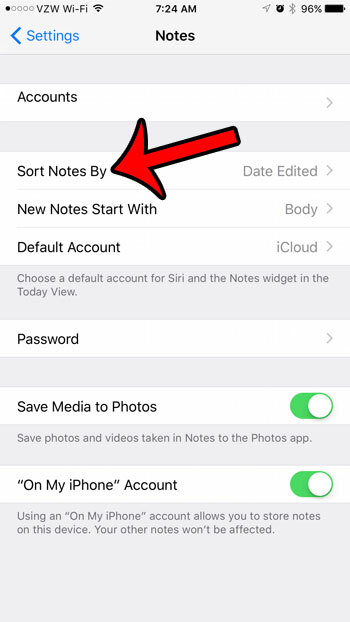 Your iPhone will typically sort notes within a folder by the date that the note was last edited, which is fine if you only need to deal with your most recent notes. 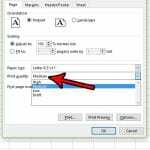 It can be problematic, however, when you need to find an older note and aren’t sure exactly when it was created. Fortunately you can adjust the way that your iPhone sorts your notes, and one of the sorting options is alphabetical. 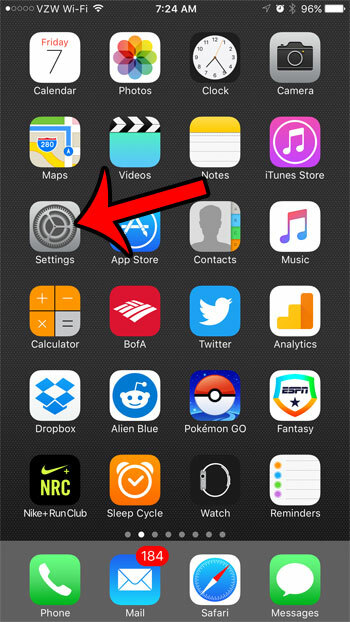 So follow our tutorial below to see how to sort notes on your iPhone 7 alphabetically. The steps in this guide were written using an iPhone 7 Plus, in iOS 10. 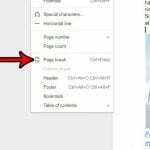 The result of completing these steps will be that all of the notes within a folder will be sorted alphabetically, by their title. 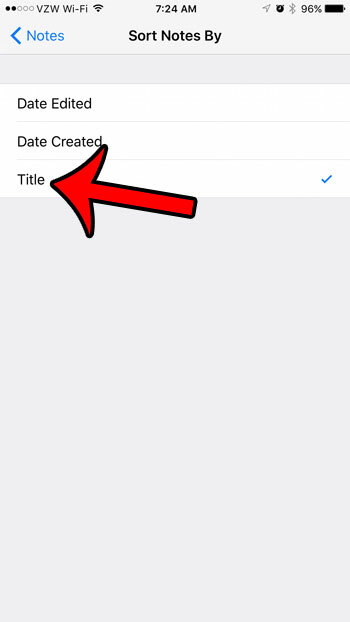 Your iPhone identifies the title of a note as the first line of text within the note. 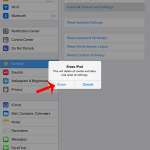 This will not adjust the way that your folders are displayed, only the individual notes contained within each folder. Step 2: Scroll down and select the Notes app. Step 3: Select the Sort Notes By option. Step 4: Tap the Title option. You can now open one of the folders in the Notes app to see that the notes within that folder are sorted alphabetically. 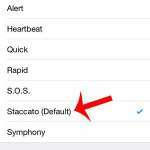 Is there someone who is calling you on your iPhone that you would prefer not to hear? Learn more about iPhone call blocking to see how you can stop being notified when that phone number attempts to call, text, or FaceTime with you.